The Zimbabwe Republic Police have cleared the Progressive Teachers Union of Zimbabwe to conduct a petition march to PSMAS, Ministry of Finance and Ministry of Public Service of 9 November. 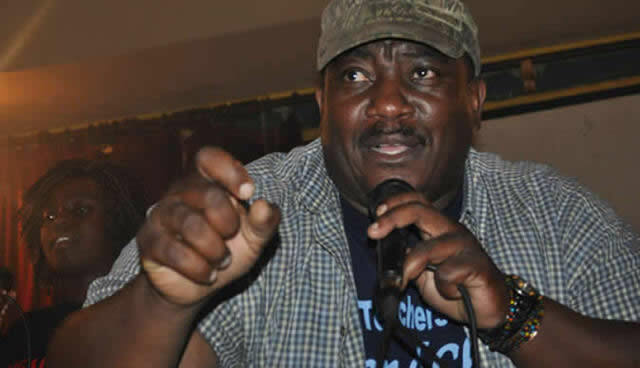 In a letter given to PTUZ Leader Raymond Majongwe the police said, "Your notiofication to petition march to to PSMAS, Ministry of Finance and Ministry of Public Service of 9 November from 1200hrs to 1400hrs has been noted. "You shall convene at Africa Unity Square, wherefrom you shall march in a small number of at at least 10 people to to PSMAS through George Silundika into Fourth Street to Mkwati building via Central Avenue. "Please confine your march to the following route and time outlined, police will monitor." Earlier on Wednesday state media reported that Apex Council, an umbrella body for civil servants unions, said it is not party to a planned demonstration by some teachers organisations on Friday as its members want to give dialogue with Government a chance. Government has invited the civil servants unions for a meeting next Wednesday. Apex Council chairperson Mrs Cecelia Alexander said while civil servants were not spared from the prevailing economic challenges, there was no need for premature industrial action as negotiating channels were yet to be exhausted. Demonstrations, she said, never yield positive results. "As Apex Council we want to pursue the route of dialogue," she said.